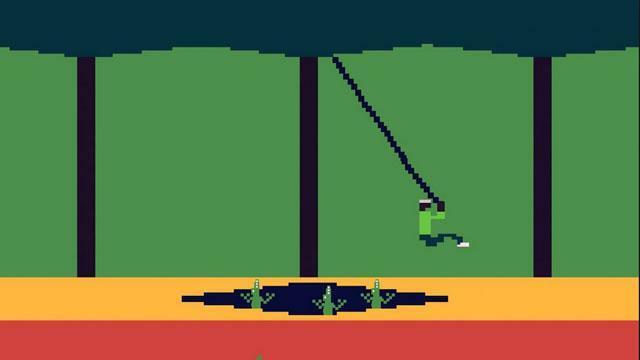 Remember the Activision game Pitfall!, back in the ‘80s? Your guy ran through a blocky two-dimensional jungle, swinging on a vine of pixels over alligator-infested bogs. Was he running toward or away from something? You didn’t care. Sometimes the chasms disappeared and reappeared beneath your feet. If you fell into quicksand or landed on a rattlesnake, you died. No big deal. It was just a game, lived in the moment. You were evading or finding peril as it scrolled across the screen. Fast forward 20 years, to when we first heard it was possible for people to sequence their genomes. I was intrigued. This was around the time that the Human Genome Project was nearing completion. Soon, I imagined, we all might be offered a chance to run through life with a new ability to sense what dangers lay ahead, lurking in our genes. But with its six-digit price point, genetic testing was a high-end game out of reach for most of us. In some ways, this is still the case. Whole genome sequencing, which spells out all six billion letters of a person’s DNA, is still prohibitively expensive and has to be ordered by a doctor. But now it is possible to order a genetic scan of nearly a million key spots on one’s DNA for only $99 from 23andMe, a Mountain View company co-founded by Anne Wojcicki, a biotech investor on the Google family tree. Finally, personalized genomics was a game I could afford. The $99 is one tenth of what the test originally cost when the company began offering it in 2007. Curiosity lured me in: I wanted to learn more about my heredity and my health. But I didn’t expect to find a whole new breed of social network, an online community structured not around shared interests, physical proximity, or social relationships, but around bits of shared DNA. I wanted to learn more about my heredity and my health. 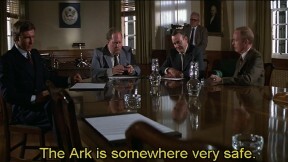 But I didn’t expect to find a whole new breed of social network. Grabbing the rope was simple. I visited the company’s website, clicked on the huge green invitation to "Get to Know You," paid up and became a member. A few days later, the smartly-packaged kit was waiting when I returned home from work. Inside were a tiny plastic vial and a smaller box to return the sealed saliva sample. I spat. As I held the sample, I felt oddly protective. Then I felt a flutter of anxiety. Should I be sending these defenseless drops of myself into the clutches of faceless white coats? I have often worked as a freelancer or in other nontraditional modes, and, like so many of my fellow Americans, am used to taking a DIY approach to health care to the degree that I can. But still I worried, could my results be used to deny me health coverage, or otherwise discriminate against me? But I didn’t worry that much, and I slid the package into the corner mailbox the next morning. An existing law known as the Genetic Information Nondiscrimination Act (GINA), signed by George W. Bush in 2008 protects Americans against discrimination based on genetic information. The law is far from iron-clad; it doesn’t cover long-term health, life or disability insurance. But there’s also Obama's health care law, coming into effect in 2014, which should moot the point, because even if loopholes currently exist in the GINA law, the president's healthcare act aims to further limit discrimination based on preexisting conditions. We'll have to wait to see how well it works. But my willingness to outsource my data goes beyond feeling secure about privacy protections; it’s also about a new way of moving in the world. I’ve never been as protective of my identity as some people, but I now care even less. I sometimes make long personal phone calls on busy city streets, an activity I once found tacky and embarrassing. I've gone on internet dates. I post updates and pictures of myself on Facebook, to be perused by friends and "friends" alike. Curating my public persona seems like a lot of trouble, and ultimately pointless. In short, I’m of the world. And the world is not in a very private mood. But not everyone shares (or can afford to share) this devil-may-care attitude when it comes to his or her genetic information. Some people have good reason to believe that they might be prone to certain illnesses, including incapacitating, contagious and/or fatal ones. Or they may carry mutations that might affect potential offspring. Or maybe they merely chafe at the image of their precious DNA shelved in a vault somewhere, as in the final sequence of Raiders of the Lost Ark. Genetic samples sent by 23andMe customers can be stored indefinitely to be studied by scientists. To assuage these fears, 23andMe offers a menu of fates for both your physical sample and your data. On the conservative end, you can choose to have both destroyed after you receive your results. On the other end of the spectrum, you can allow the company to keep your DNA and study it ad infinitum. While 23andMe offers privacy options, the company regularly hints that it would be noble of you to reveal all (in the interest of science), and it uses an enticing interface to hustle users for more information. For example, with a feature called "Quick Questions," you can deliver substantial amounts of self-reported data on the web site before your saliva sample has even arrived at the lab. The more data 23andMe accumulates and can correlate with customers’ self-reported info, the deeper the ocean from which it can fish for new drugs and treatments. Using this "Aggregated Genetic and Self-Reported Information," the company contributes to papers in peer-reviewed journals, and in theory could work with third parties to market new drugs. It runs a good game, too. You may be made of stronger stuff, but when someone asks me a simple personal question with the promised reward of better self-understanding, I respond like a rat tapping a lever, or a teenager hitting 'Start' on a faux-wood-paneled game console. How would you describe your current weight? When you travel, do you prefer your itinerary to be planned in advance or spontaneous? Do you have stretch marks on your hips, thighs, or backs of your arms? When you're in the mood for a snack, what kind of snack do you usually reach for? As I waited for my results, I kept coming back to the site to answer questions and explore research on genetically influenced traits such as hair curliness, shyness and the tendency to create systems out of chaos. I found it irresistible. 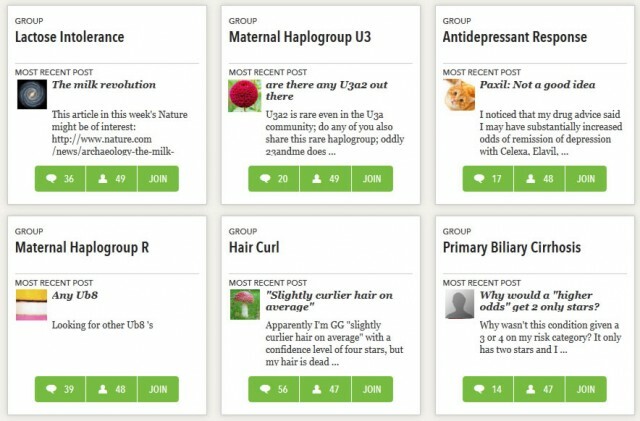 23andMe also hosts a copious amount of (over)sharing: every trait, ancestry query or medical pitfall has its own group in which customers can discuss it. In hundreds of forums, seekers like me reach out to each other to fill in the gaps of their genetic stories. I realized that once my results were in, I would be able to see -- and chat with -- people genetically related to me around the world who had also taken the test. At first, I scoffed at this. Don’t people have enough "friends" without having "family," too? But it was clear this was no fringe activity. These networks were overflowing with posts, comments and discussions, connecting people around the world by their genes. Your 23andMe results are now available! >Log in now to view your results and start personalizing your 23andMe experience. Ready to swing out over the abyss, I wondered, if I did have a trait, mutation or disease, would I reach out to this group of online strangers to talk about it? If I learned I had distant cousins, would I want to talk to them, even expand what I thought of as family? Have you taken the spit test? If you could be part of a community based on your DNA would you join? Add your thoughts to the comments below. In my next post, I will share some of my test results and introduce you to some of the people I met along the way. Stay tuned.